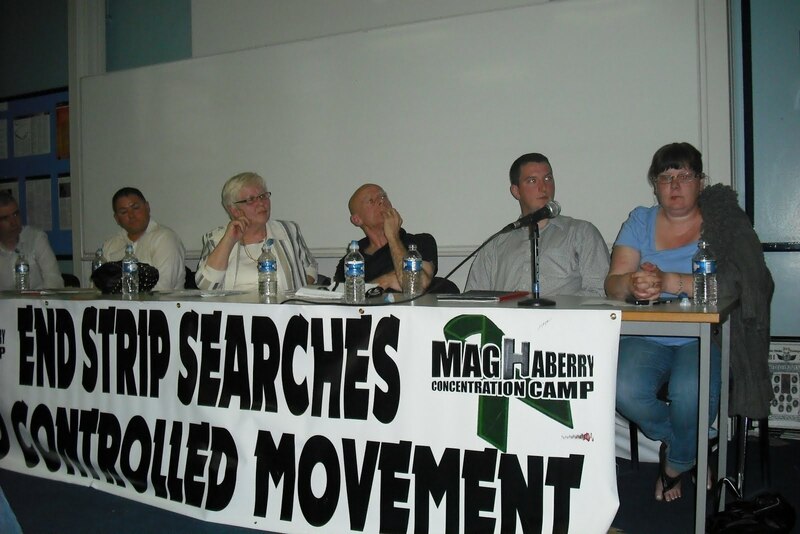 The family and friends of the protesting republican prisoners organised a panel discussion on the history of the Maghaberry struggle from 2002 to the present day, as part of the west Belfast festival. 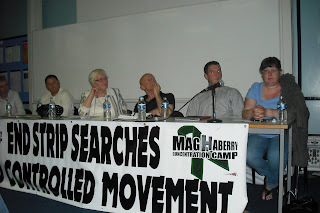 After horrific account of the conditions republican prisoners have faced from 2002 - 2004 by Matrin Brogan, Brendan Conway gave an update to the present day and the reasons why the protest has resumed. Eamon Mc Cann talked passionately about the plight of Marian Price and highlighted the fact that her arrest and detention is nothing more than the resumption of interment. The partner of Brendan Lilis also give an emotional account of her family's struggle to secure the release of Brendan. 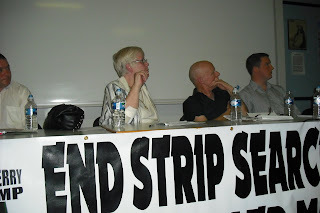 The fact that the room was packed and that there was standing room only shows that the campaign in support of the prison protest is gathering momentum and we firmly believe and that with this amount of support the POW's will achieve their demands.